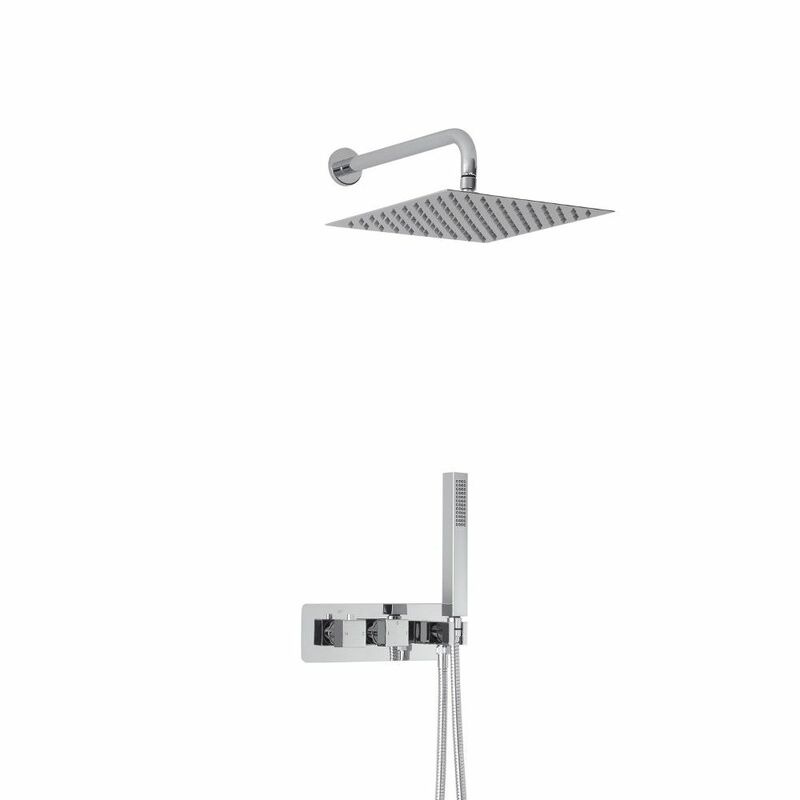 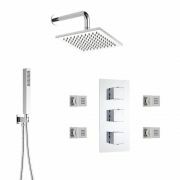 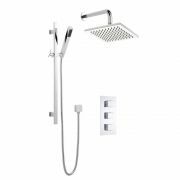 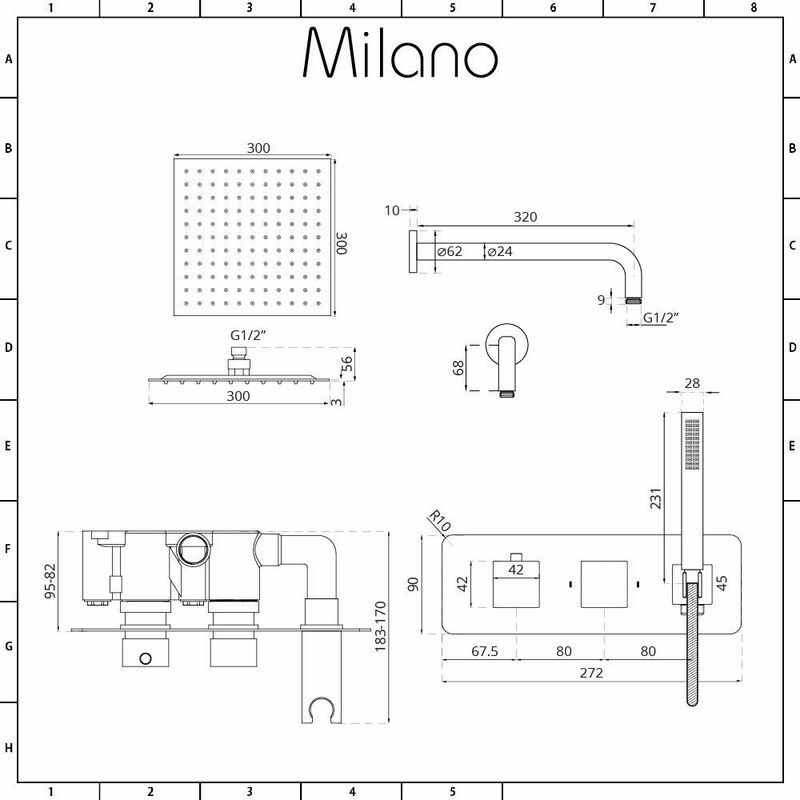 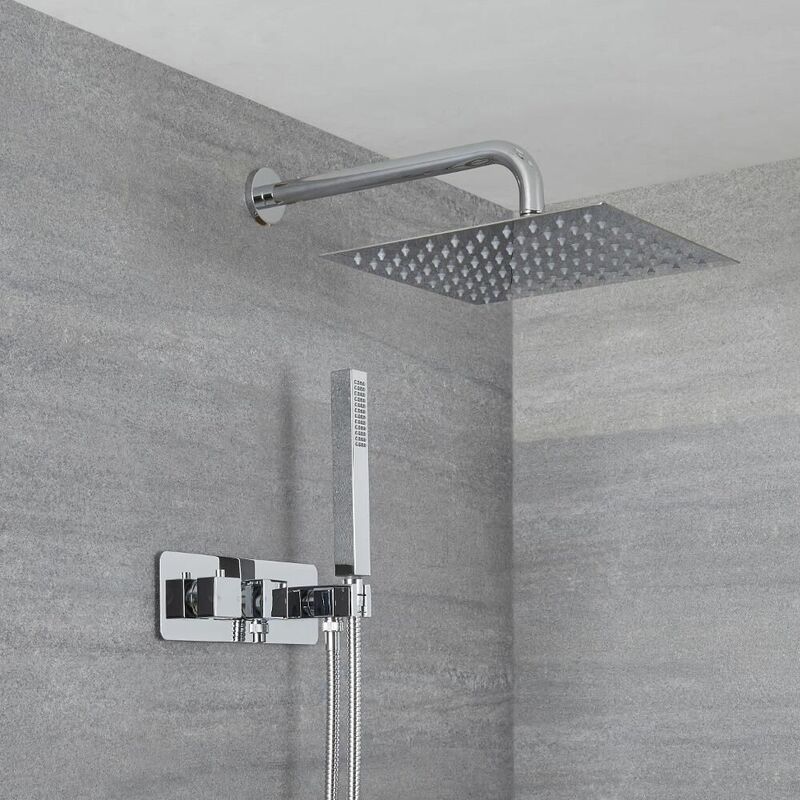 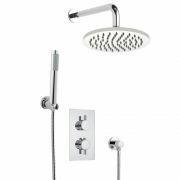 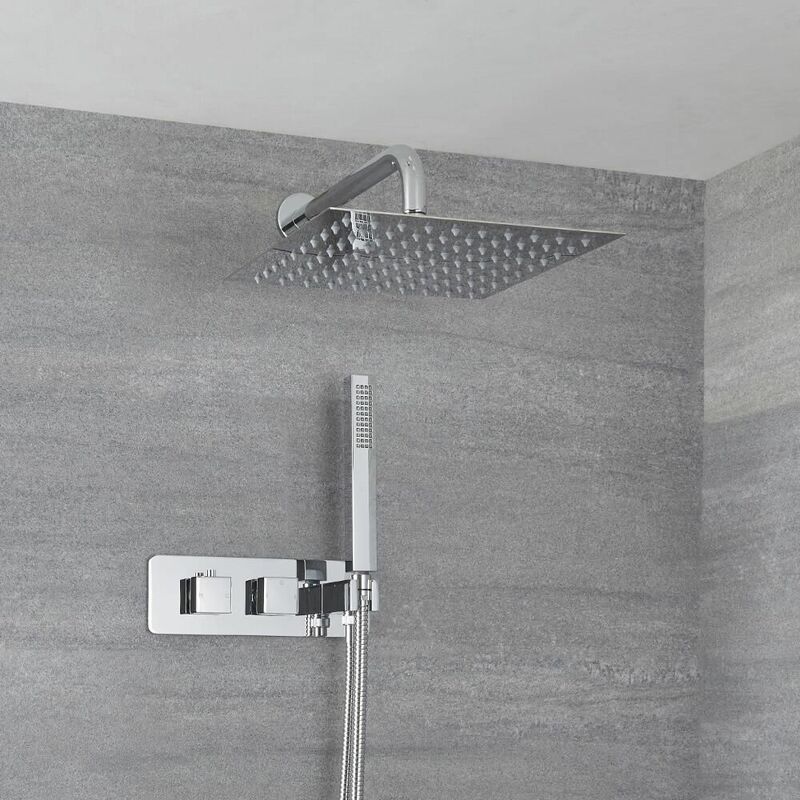 The Milano Arvo square twin diverter thermostatic shower valve comes complete with the shower handset and the 300mm shower head with wall arm. 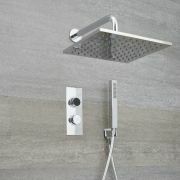 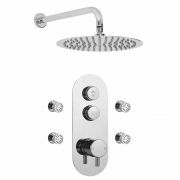 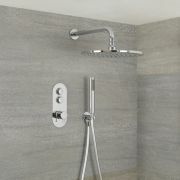 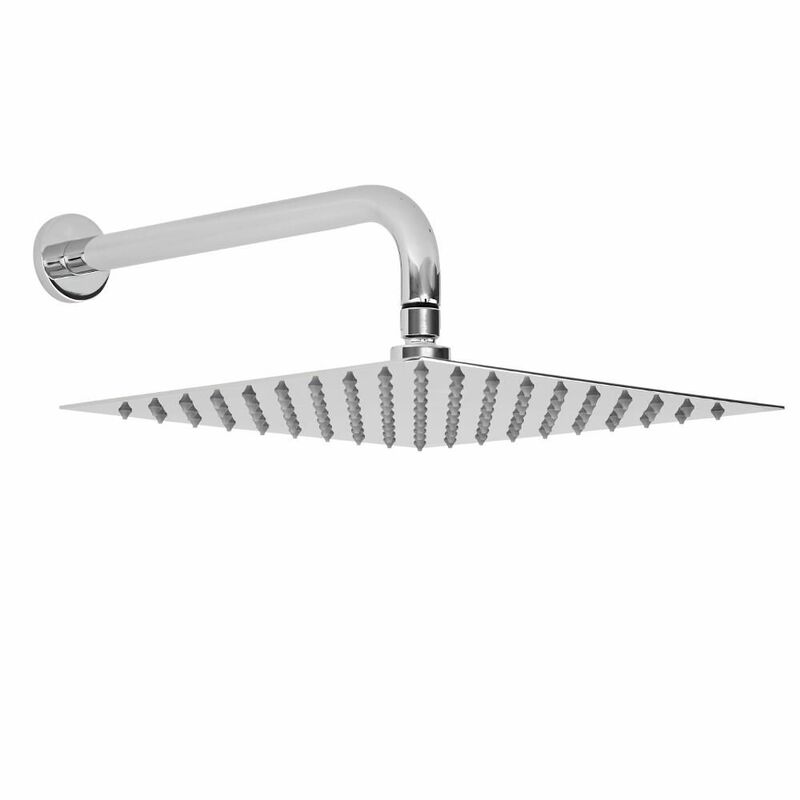 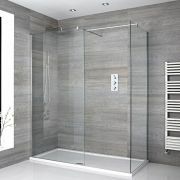 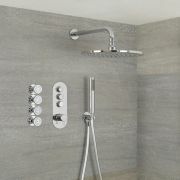 A great option for add sleek, modern style to any bathroom, the shower valve features square handles and a chrome finish. 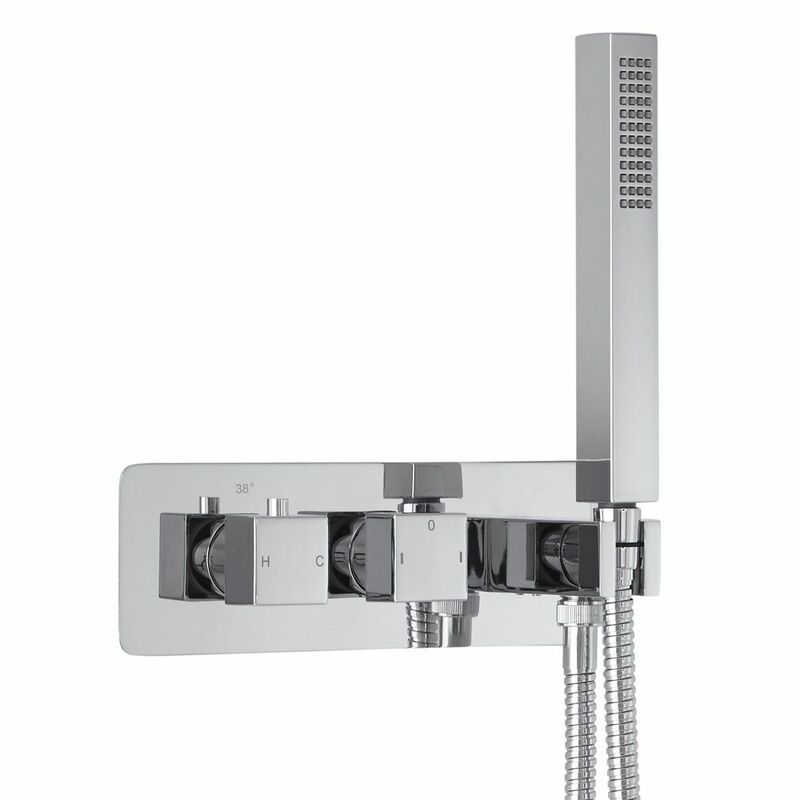 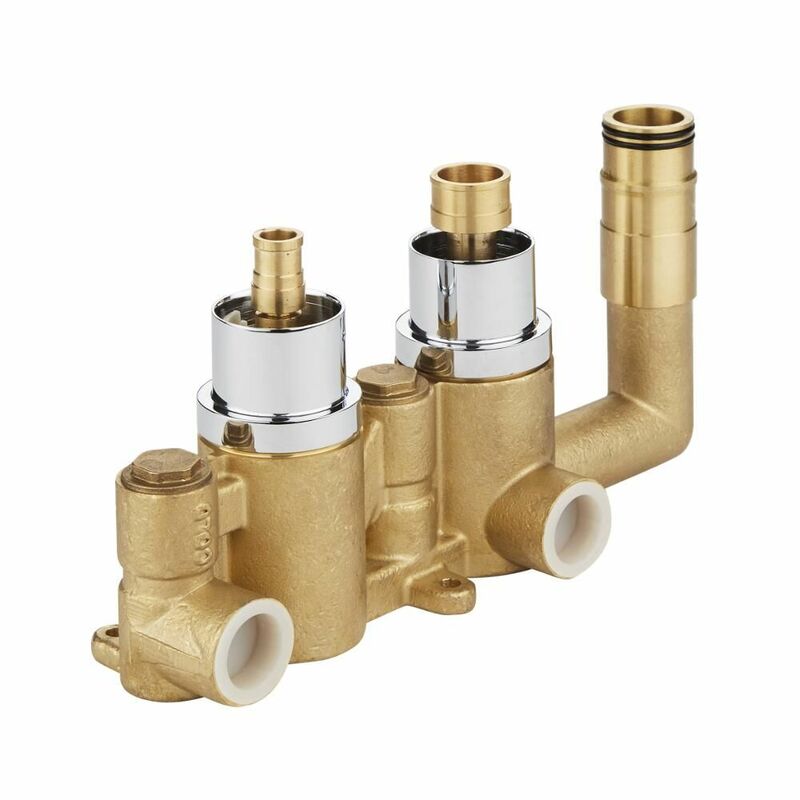 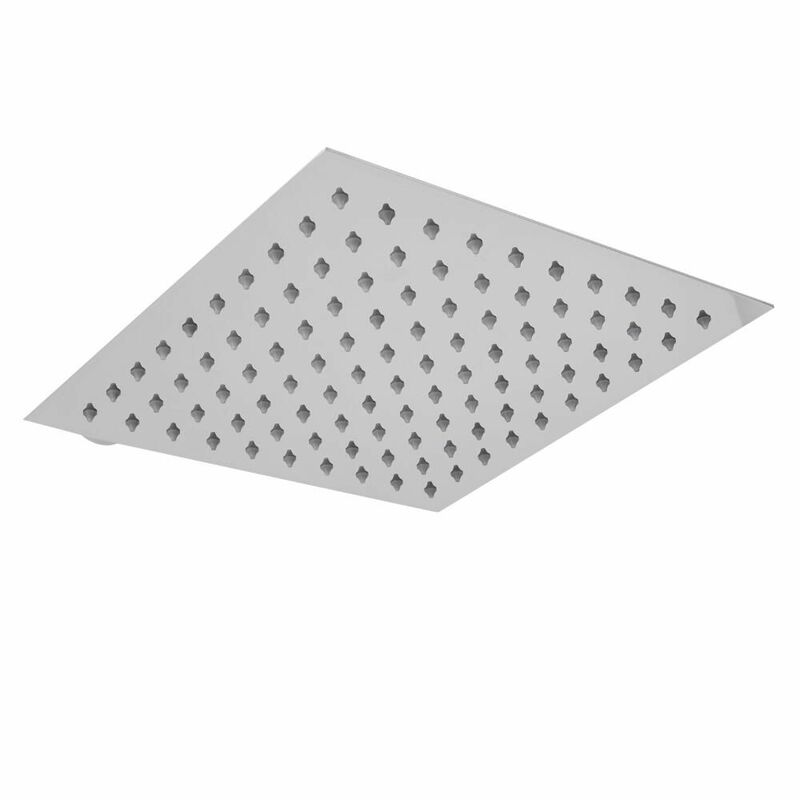 The valve incorporates anti-scald technology to ensure a safer showering experience. 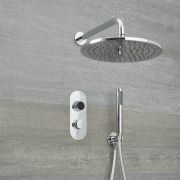 The handset can easily be removed from the holder so you can rinse and clean around your bath or enclosure. 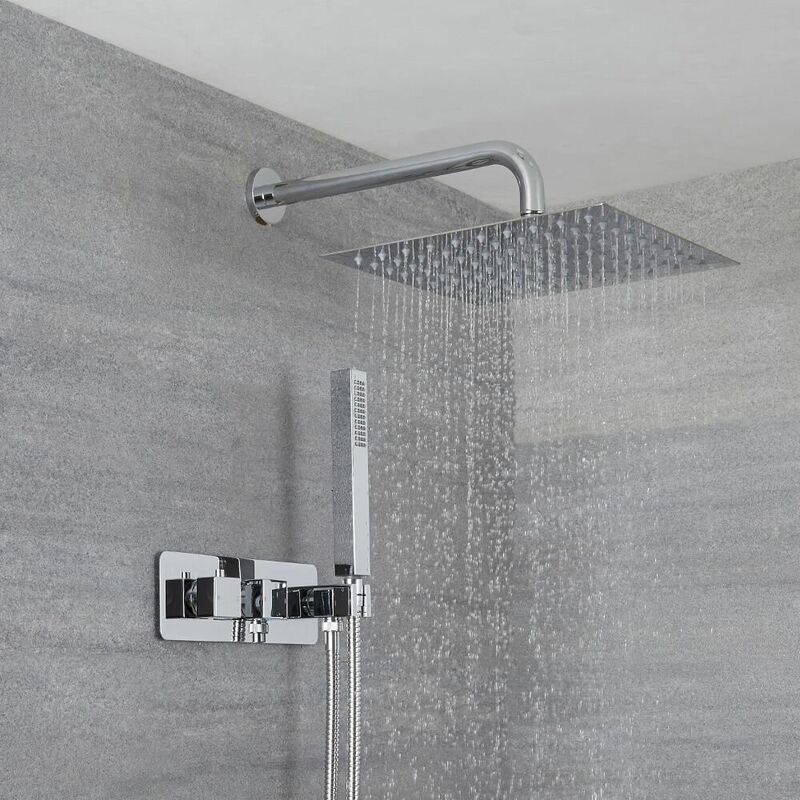 Featuring easy to clean silicone nozzles, the shower head delivers a rainfall effect that's sure to leave you feeling awake and refreshed.